There's lots of OPI happening lately. I'm still totally jazzed about my recent OPI headquarters tour (see my recap here). Sarah at Chalkboard Nails is working on an awesome video of our visit. I'll link to it as soon as it's up. So today I have swatches of the new OPI Brights release. There are now nearly 40 Brights shades in the OPI line. They're such fun colors! I'll start with my favorite. My Car has Navy-gation is a gorgeous inky blue. Like my jaw is on the floor. It has a slightly jelly formula, so I used three coats. This dries to a more satin finish without topcoat, which is nice too, but I prefer it shiny. Isn't it awesome!? The Berry Thought of You is a pretty berry pink. I love berry...like a lot. This has a great formula. My swatch is two easy coats. 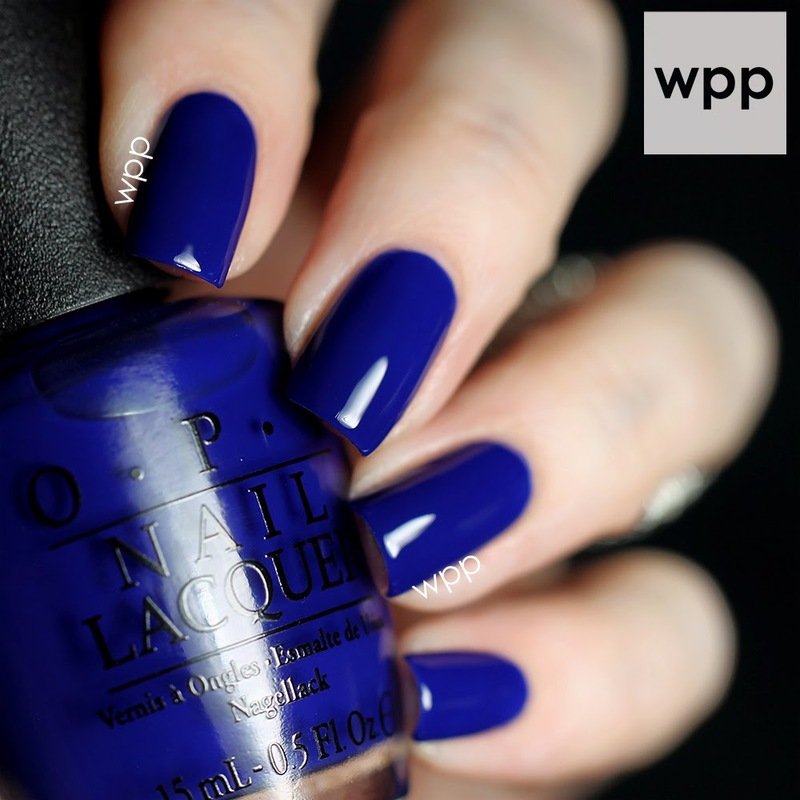 Next up is I Sea You Wear OPI. It's an ocean blue with a metallic shimmer. This took three coats to get completely opaque. I Stop for Red is a stunning red. 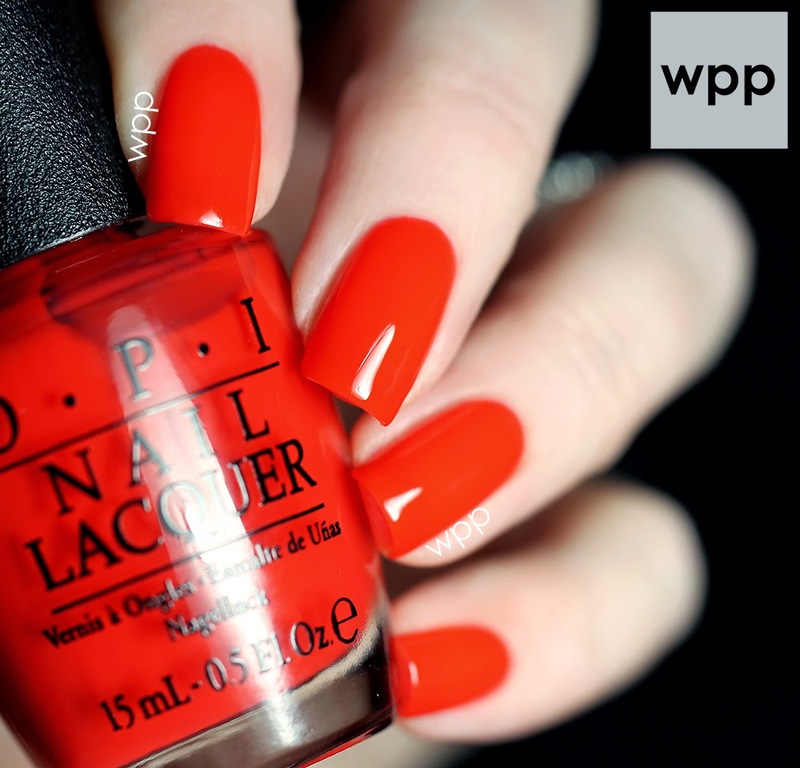 I know OPI has released a ton of reds lately, but this one is really bright and different from the rest. It leans coral or orange and the formula is awesome. This is two coats. I Can't Hear Myself Pink has a similar finish to I Sea you Wear OPI. It's a medium shimmery pink. Very pretty. This also took three coats. And last but not least is the lone glitter, Pinks and Needles. It's loaded with multi-sized fuchsia glitter in a clear base. I've swatched it over My Car as Navy-gation so you could really see them. I'm actually digging this polish. It was easy to apply. I used one dabbing coat and two coats of topcoat to make it smooth. My Mani Cave is navy and pink...so you know I love this combo! All of these are perfect for summer! Which one is your fave? Don't forget to enter my current giveaway while you're here! HOW: Easy peasy! Simply comment on this post! (Only the first comment will be counted as an entry.) Want more chances to win? Comment on my other posts this week (here, here, and here too) before the giveaway closes.